We pitched and won this new business for a golden anniversary celebration. NOW Foods is a small, health-focused company and they owe it all to their loyal customers and consumers. 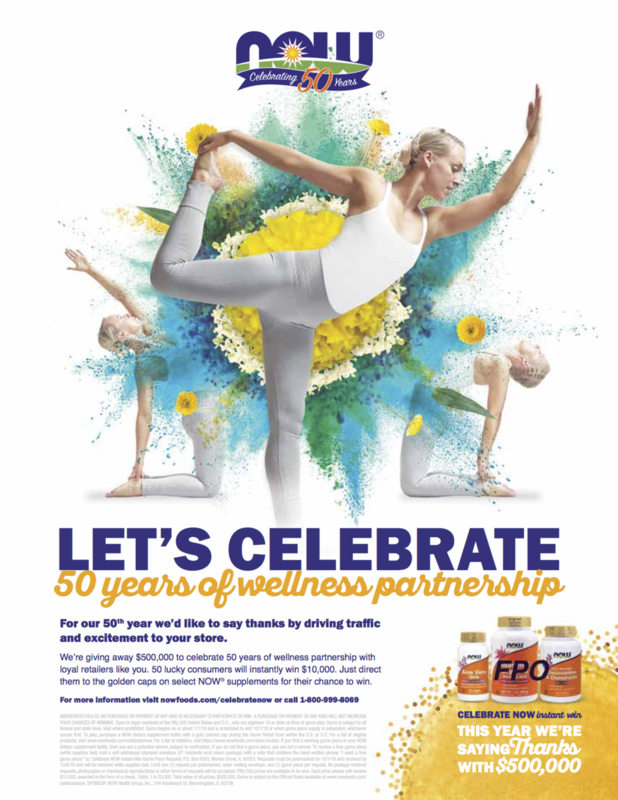 To thank everyone for a great 50 years, they are giving away $500,000 and celebrating the ways that consumers focus on their wellness journey.